Enriched with Coconut and Shea Oils, these formulas deeply penetrate and hydrate hair, leaving hair soft and nourished with an amazing shine. This moisturizing duo strengthens hair, helping to prevent breakage*. 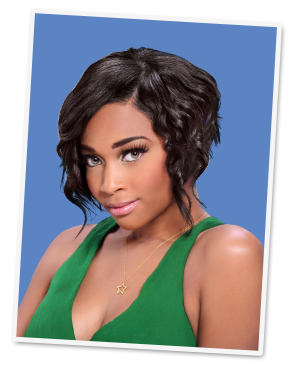 Both products are perfect for natural and relaxed hair. Wet hair. Apply a generous amount of shampoo and work into a rich lather. Rinse thoroughly. Repeat if necessary. Follow with Lottabody Hydrate Me Moisturizing Conditioner. 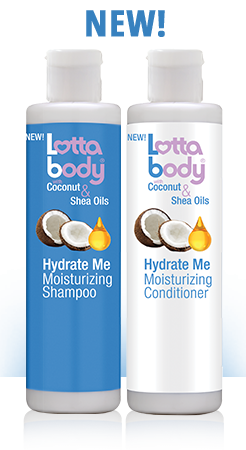 *When used together as a system (Lottabody Hydrate Me Moisturizing Shampoo and Lottabody Hydrate Me Moisturizing Conditioner).